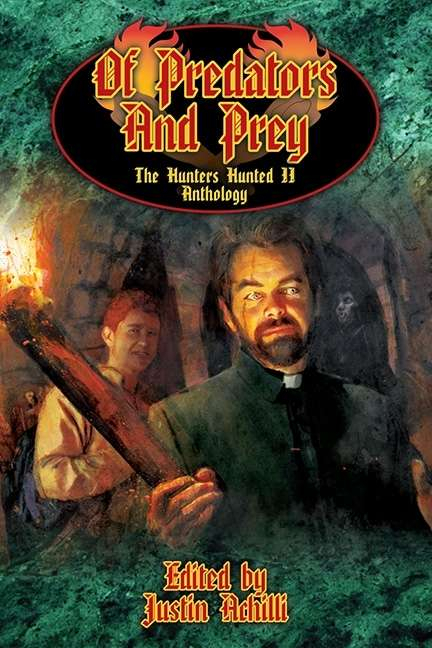 This fiction anthology was made possible by the backers of the Deluxe Hunters Hunted 2 Kickstarter campaign, where each story was added to this book as a result of successfully passing Stretch Goals. It's not just you. I couldn't help but laugh when I saw your comment, Joshua G, cause I think the same thing every time I see that cover. Totally William T. Riker, Vampire Hunter.